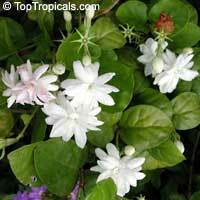 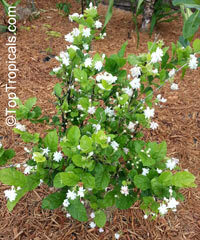 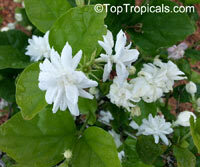 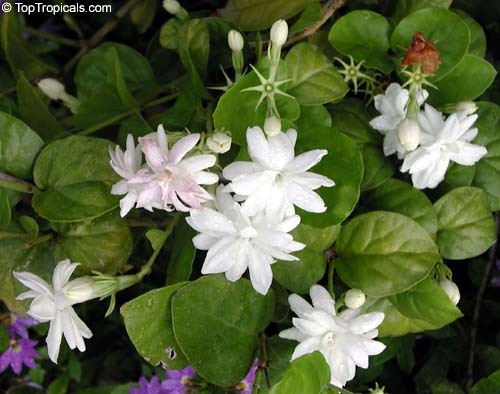 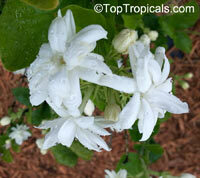 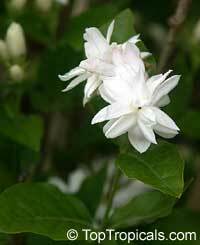 The Belle of India is a vining shrub, pretty fast growing, that requires constant pruning to keep compact shape. 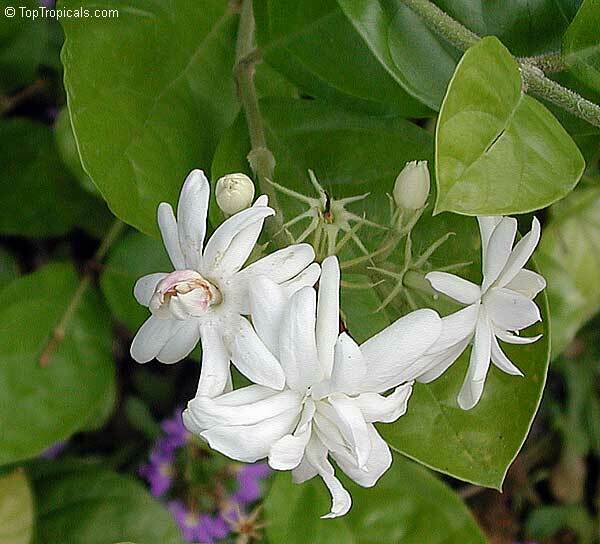 If you let it go - the plant will grow as a large vine. 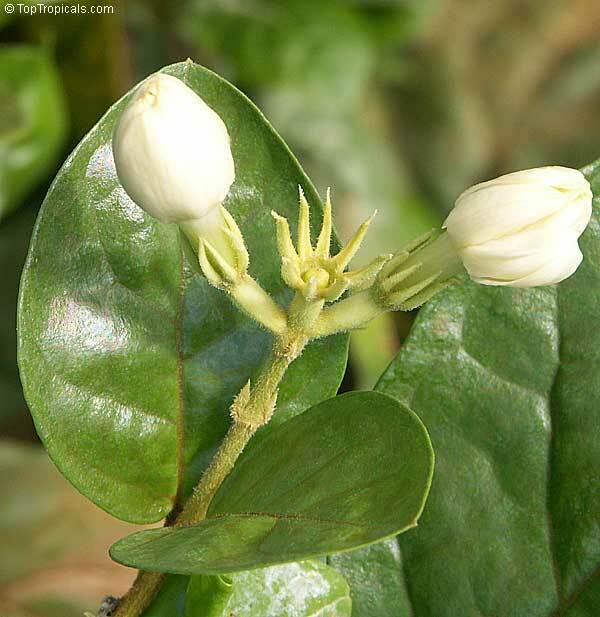 Leaves are light green, sometimes yellowish-pale-green, not the best looking part of the plant; the flowers are! 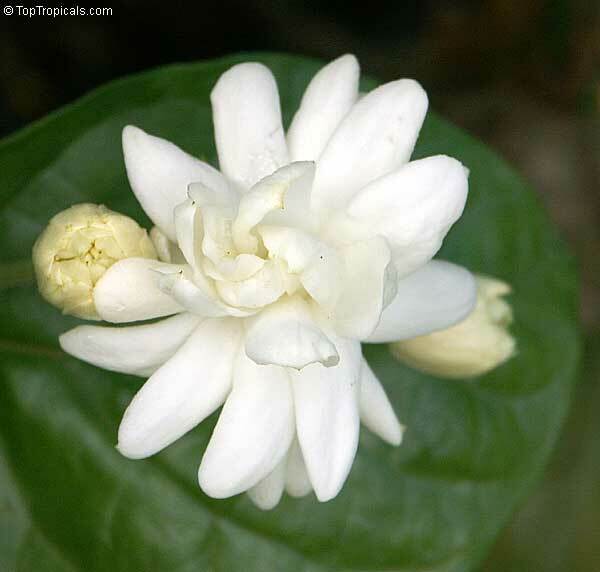 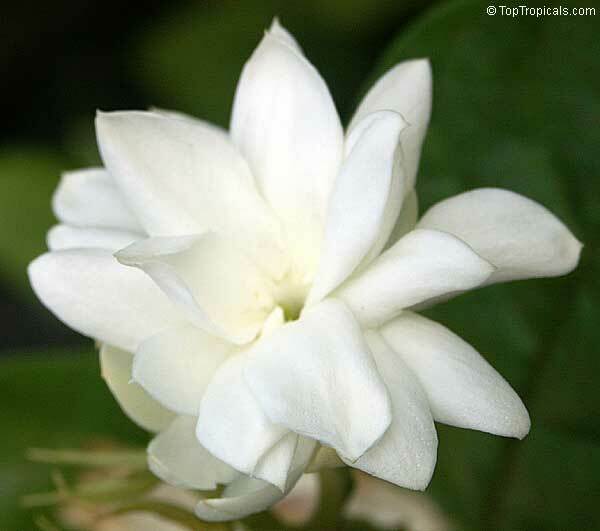 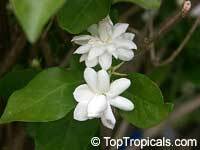 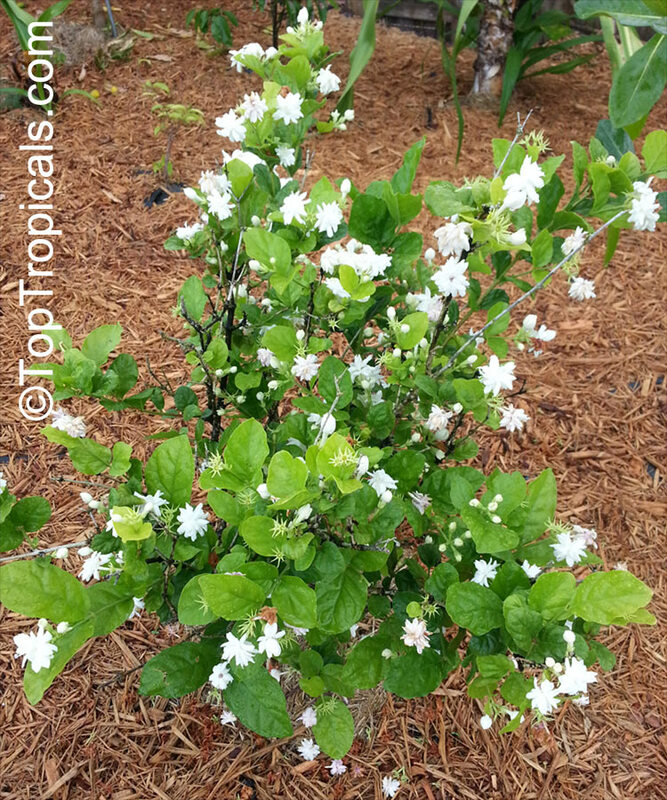 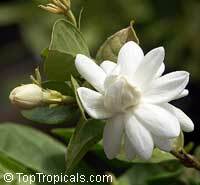 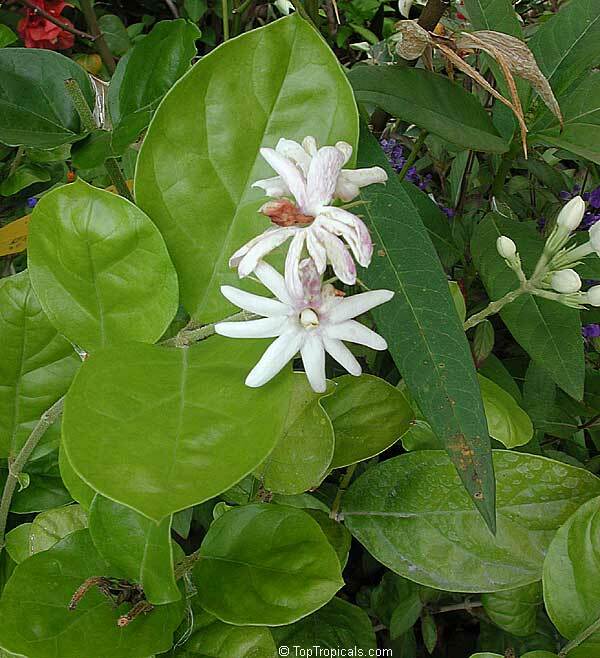 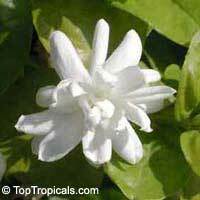 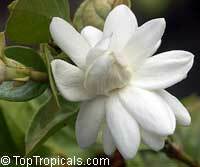 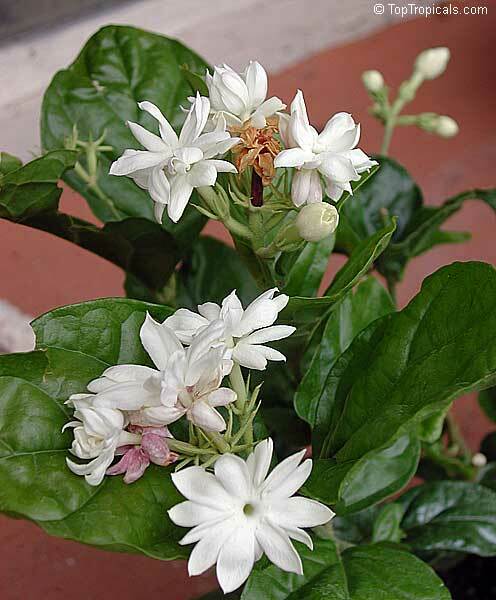 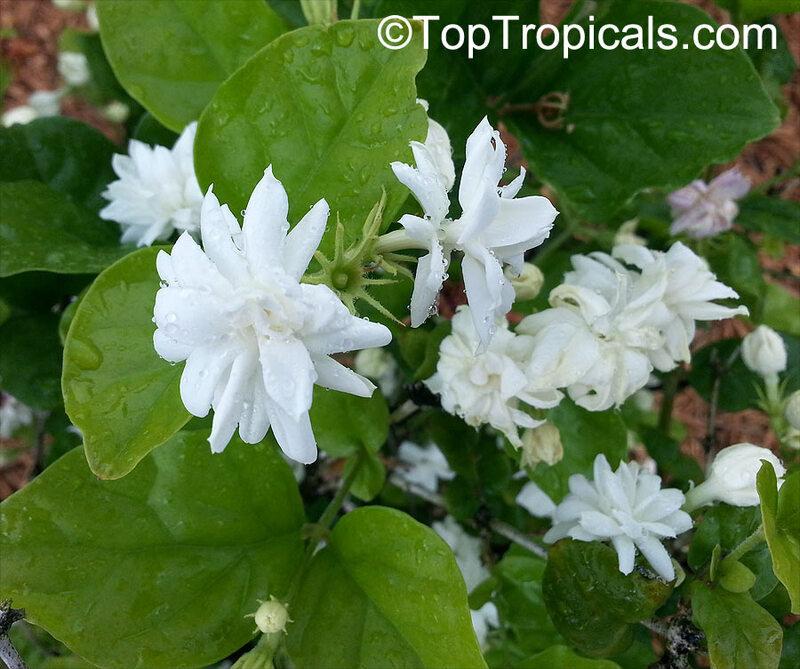 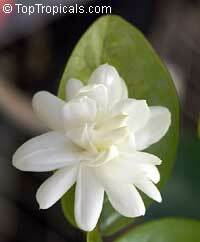 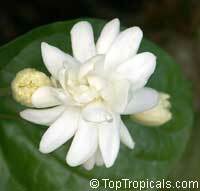 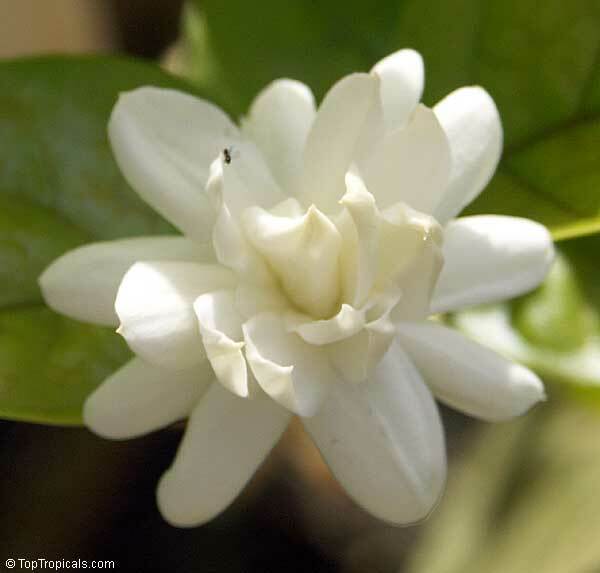 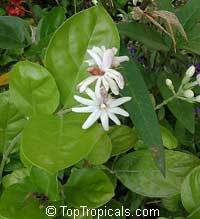 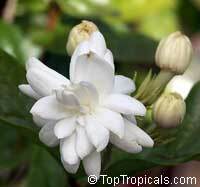 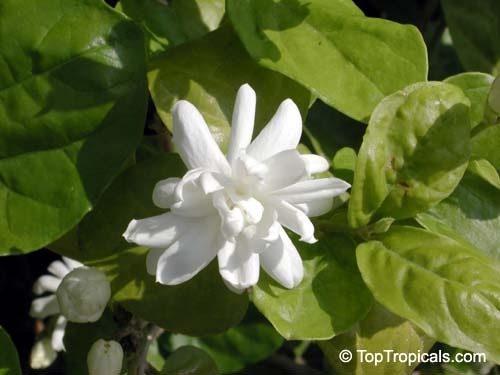 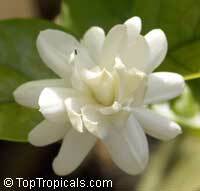 Flowers are double (smaller size than Grand Duke) and heavily scented. 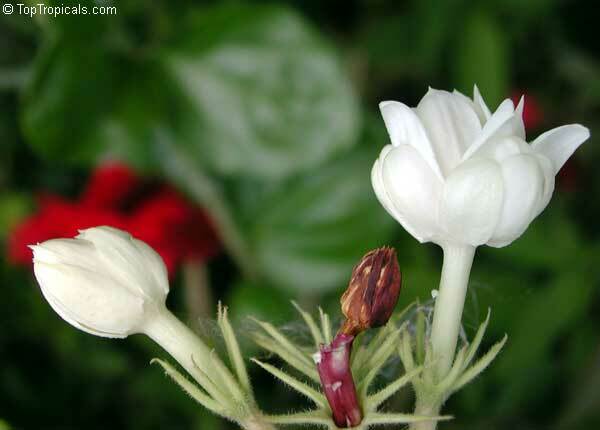 Blooms profusely provided full sun. The most reliable bloomer of all sambacs. Will tolerate some shade with less blooming.